Raising Entrepreneurial Capital begins where entrepreneurship books leave off. This book provides a broad, high-level discussion of the financing decisions that companies must make to achieve success. With a focus on classic capital raising, the text covers the debt vs. equity decision, as well as the options available to smaller businesses. It also describes the factors that lead to rapid growth, including venture capital, IPOs, angels, incubators, and much more. 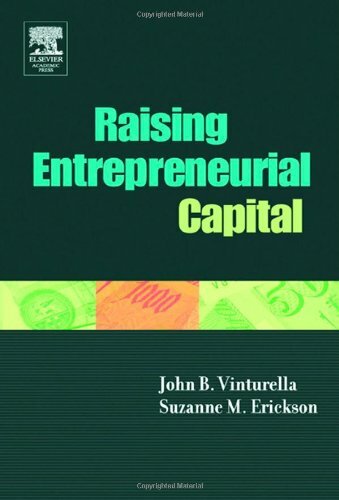 Combining solid theory with practitioner's experience and insights, this book should increase student understanding of how to raise entrepreneurial capital. It explains how your company should position itself to attract private equity investment, and what steps you can take to improve your company's marketability. It includes several chapters on worldwide regional variations on forms and availability of pre-seed capital, incubators, and the business plans they create, with case-studies from Europe, Latin America, and the Pacific Rim. It also effectively differentiates between venture capital and entrepreneurial capital. This book will appeal to entrepreneurs and to students in Entrepreneurship programs, particularly entrepreneurial finance courses.